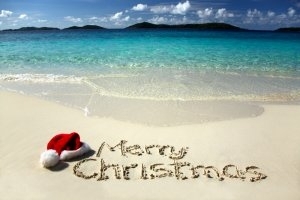 ← Here come the holidays! Time to dust off your punch bowl. Now that you’ve ordered that sleek ultra-modern punch bowl (or have managed to sneak Aunt Pearl’s out in your handbag) and are starting to draw up the list of invitees to your upcoming binge, you’re probably wondering what to fill the bowl with to ensure that everyone has an unforgettable evening, and by that I mean hazy recollections of behavior so egregious, untoward and shame inducing that they will never, ever be able to purge them from memory no matter how hard they try. I’m talking real long term counseling issues here. That’s the mark of a great party. Well put down that bartender guide and toss off any thoughts of lemonade, ginger ale and whiskey with a big blob of lime sherbert floating in the middle. This concoction, sans hooch, was a favorite at family affairs of my youth, and let me tell you, it has taken years of talk therapy, pillow punching and psych meds – at times administered in a residential setting – to deal with that trauma, not to mention the lingering insulin flashbacks. 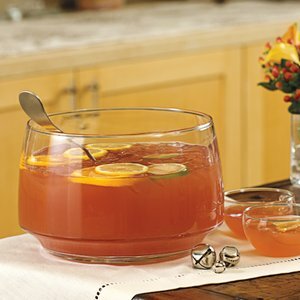 But happily, here I am on the sunny side of wellness, ready to help you fill your holiday punch bowl with a real crowd pleaser: yup, rum punch. Now, many years ago I got this recipe from a bartender on the glorious island of Grenada where I was vacationing en famille at the fabulous Flamboyant Hotel. 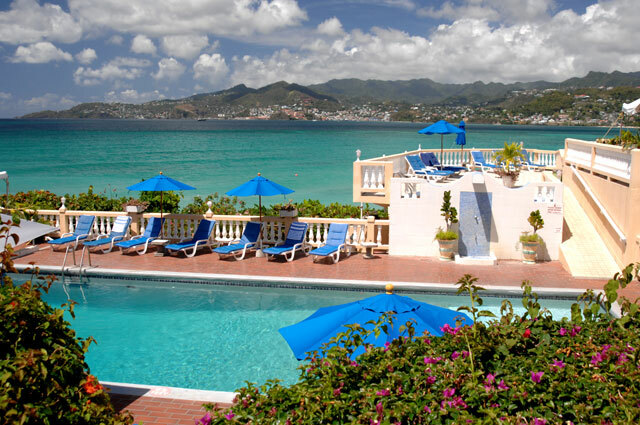 I cannot recommend this lovely hotel enough for many reasons, but chief among them is their rum punch. It’s a lucky thing he wrote the ingredients down, because after a couple of these, your hands go numb, your tongue limbers up, and you feel you could do anything, except of course take dictation. Obviously quantities will have to be increased to fill your punch bowl. To keep this cold, and it really does need to be cold, I suggest mixing about a cup of pineapple juice with three cups of water, freezing it in a big plastic container (bowl shaped is best, but square will do) and floating it in the punch. If you feel like throwing some sliced citrus in the bowl, have at it. It’s not too early to begin regular pre-party taste tests, just for quality control. Posted on November 3, 2011, in Cocktails!, Party! Party! and tagged Humor/Commentary, Party, Punch bowl, Rum Punch. Bookmark the permalink. 3 Comments. Your welcome to my world article is so funny. I couldn’t agree more. I must meet you for a rum punch one day!